Social Media has changed the way we do business dramatically. 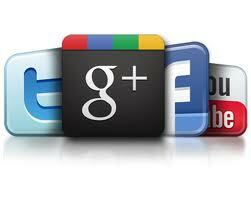 Every business now needs a social media presence to increase their opportunities and visibility. To start using social media for business, start by understanding what it actually is! This article will clarify the concept of social media and how it affects your business. If you are like me, you started using Facebook, Twitter and social media in general to have an easy way of communicating with your family and friends. After all, it is called social media for a reason! When I first traveled overseas, Facebook and Skype were already gaining traction. I worked intensely hard to teach my family how to use these tools so they could stay in touch with me while I traveled. Back then, I didn’t realize of the power of social media as a business tool until I started posting photos of my life in a different country. All of a sudden, I started getting an unbelievable amount of digital engagement with my family and friends. That was my “Ah-HA!” moment. If social media can allow for such incredible engagement from your friends/family, imagine the potential it has for communicating with customers! Social media has given business owners the opportunity to connect with their customers on a whole different level. It allows businesses to transform their clients from “customers” to “friends” by teaching them something. Position yourself as an authority in your niche. When you relate to somebody at a friendship level, it’s a lot easier to earn their trust, lower traditional business/customer barriers and offer great value. Clients will develop a feeling of familiarity when they think of your brand. As mentioned by Pratik Dholakiya (@DholakiyaPratik) on his article Social media, the human element and your brand, social media is important not only because of its possible reach, but for the way it can humanize a brand and get you closer to your customers. Everyone can benefit from using social networks, whether it is for personal or business use. While most businesses now have a website or blog set up, not all of them have a social media profile. Social Media is a medium that using our human social nature enhances global reach communication with friends, family, customers and potential customers. Social media was designed to enable people to easily share personal information and experiences via internet with friends and family. These platforms have had success because of human nature: We are social creatures and social media sites play to our desire for social interaction. 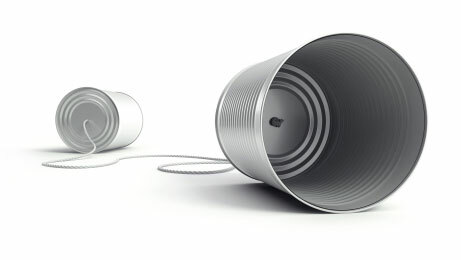 Understand that social media is a two-way street: Communication consists of a sender, a receiver, a message and an often-overlooked and critical piece, feedback. Social media sites follow this formula in that they allowed people to share content, messages and images with friends, family and others. Social Media allows you to transmit feelings and create relationships with your customers and potential customers. Now that we understand the concept, let’s see how important this is for your business. Is Social Media for Business important? We just said that social media is all about communication and presence: what could be more important for your business? Let’s start with your presence. I am going to assume that you already have a website and a blog (if you don’t, you should look into getting one immediately). On the website, explain what your business is, what it does does and provide your customers with all of the relevant information (including contact information) necessary to interact with you. Additionally, make sure your blog educates your audience (potential customers). By educating them they will better understand your expertise on the subject. Now, let’s say you have set everything up like I described. Your potential potential customers visit your site and love the content available. In fact, they love it so much that they want to start sharing the website with their friends. But wait!…You don’t have a social media presence. Now your audience cannot share your website or blog with their friends. Worse still, you will not be able to proactively interact with those customers. Just placing “Share” buttons on your site allows people to be more interactive by sharing news, stories and products with their friends. Using social media should be an important part of your business plan as it enables you to have the potential to reach millions of users around the world. Facebook is the largest social media site with over 1.11 billion users…Just tapping into a small portion of these users could have a huge impact on your business. The above should clearly demonstrate the importance of social media for business. By not setting up a social media presence, you are missing out on a viable (and free) advertising and marketing tool. Social media is “Word of Mouth: on steroids as once stated by Erik Qualman Founder of Socialnomics (@equalman) in his book Socialnomics. Watch this Video for some amazing statistics collected by Erik Qualman himself. If you haven’t set up social media sites for your business, consider doing it today! At the very least, create a Facebook, Pinterest and Twitter account. Don’t worry about the content right now. You can even post the same content to all three places at the same time, just get the sites up and running. What Types of Social Media Exist? You may know about Facebook, Twitter, Google+ and Pinterest, but you may not know that there are different types of features are available inside these popular sites. For instance, did you know that you can join various groups and create different pages? These features can be extremely helpful and can help extend your social media reach. When joining groups, search for specific interests to connect with like minded people who might be interested in your business and blog. Groups can be open, closed or secret and can be used as a membership or forum. Creating a group can serve several purposes including research, product testing and event planning. Some social media platforms allow you to add tags, links, videos, photos, short and long messages and even post articles. For example, Twitter limits posts to 140 characters, so while it’s not great for in-depth product descriptions, it is great for micro-blogging. Pinterest, however, is a social media site purely dedicated to image sharing. Other social media sites including YouTube, Vine and Tumblr, allow people to interact in even more ways. With YouTube, you can upload your own videos, making them public or private. Private videos are a great way to connect individually with clients or a specific group of clients. After all, what better way to send a personal message to your customers then a private video from you! This variety of function is part of the reason social media for business has become so popular. With so many tools, many of these sites are just plain fun to use! Because of the variety of social media sites, you have to make sure you pick the right ones for your business. I highly recommend a presence on Facebook, Twitter, Google +, Pinterest and YouTube. These five sites, will give you more than enough basic exposure for your business. If you feel like you may need help or training to successful set up a social media page, try visiting our membership site which you can access here. Social Media has come a long way in the last few years. It is now more interactive and readily accessible than ever thanks to mobile devices like smartphones. When you make your business social, you are giving it the opportunity to relate to your potential and existing customers into a different and more appealing way.